In a study conducted to examine the factors that make competency based model effective from the perspective of 375 coachees(who are undergoing or completed the development program) in an oil company in the United Arab Emirates. 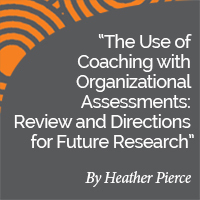 It was hypothesized that the coaching provided in the program will have a positive effect on the coachees’ perspective of the effectiveness of the competency based model. Yet, after the data gathering and questionnaire analysis using structural equation modeling. It was found unexpectedly that the coaching process will have a negative effect on the coachees’ perspective. Which means that the program is more effective with less coaching. There was a limitation in the mentioned study because it studied only the factors that are under the company’s control but it didn’t look at the factors related to coachees’ characteristics i.e. self-efficacy or motivation to learn. In this paper will look for an explanation for this study outcome from the literature review and the application of coaching (Al-Mannaee & Ryan 2018). A coach is a person who help coachees grow and develop their personal and professional lives by providing them with the required direction using a collaborative, reflective and goal-focused relationship (Bozer & Jones, 2018). S/he encourages the individual to attain the desired outcome and to stay focused and motivated as well as monitoring their progress (Al Matroushi, 2004; Competence Assurance Management System (CAMS), 2009; “New Professional Program,”). Adults need to know the reason for learning something before deciding to learn it. According to Tough (1979), when adults are given something to learn on their own, they will do their best to understand the benefits that they will gain from it. For this reason, the coach/facilitator has to help the adults by identifying the values that will be gained from the learning program and the way that it will help them to improve their performance. The coach/facilitator should use the tools that will help the adults to discover for themselves the gap between their current level and where they need to reach (Knowles et al., 2012). For that reason, if the coach interfered and started to give specific direction. This will contradict with how adults learn because the coach role is only facilitating and guiding. The past experience of adults needs to be recognized by the coach/facilitator because for adults this is part of their “self-identity”. If their experience is ignored, adults assume that not only their experience but also they themselves are ignored as persons. Furthermore, adults with greater experience tend to build their own beliefs and habits as if they were self-sufficient and close/shut their minds to new ideas. Hence, coaches/facilitators do well when they help adults examine these habits and open their eyes to new ideas for learning (Knowles et al., 2012). Adults are ready to learn the things they need to know in order to cope with the situations they meet in real life. One way to encourage adults to be ready to learn is to link development tasks to authentic scenarios; this helps adults to move from one stage to the next (Knowles et al., 2012). Adults are motivated to learn when they receive incentives, i.e. promotions, better pay, etc., or have other, internal, motivators, i.e. self-esteem, job satisfaction, etc. (Knowles et al., 2012). Adults are motivated to learn but they could lose interest when they are faced with programs that ignore their self-concept and principles of adult learning (Tough, 1979). The second theory that could be useful to explain the above outcome is the self-Directed Learning (SDL)which is one of the famous theories in adult education. It is defined as the process in which the learners take responsibility for their own learning with or without the assistance of others. In SDL programs which is similar to competency models, learners take the initiative in identifying their training needs, setting up their learning goals, looking for the appropriate material for learning and evaluating their learning outcomes (Knowles, 1975). In literature, there are two conceptions of SDL, namely, self-teaching and personal autonomy (Knowles et al., 2012). Self-teaching ensues when a learner has decided to take responsibility for his/her own learning without depending on a professional teacher. The learner who takes control of the learning methods in such a way as to learn a subject is called a “self-teacher” (Tough, 1981). In personal autonomy, however, the learner is responsible for his/her learning as well as taking control of the objectives and aims of learning. Consequently, this results in internal change of the learner’s consciousness; he/she then starts questioning the information learnt freely (Knowles et al., 2012). It may seem that the two concepts are the same but they are in fact independent. A learner can choose to learn in a teacher-directed instructional environment while he/she has high personal autonomy. Choosing such an environment is simply a convenient option for the learner, either for faster learning or because of the learning style. There are cases when adults decide to learn using the traditional training approaches over self-teaching but this decision does not mean that they have given up their ownership or control of their learning. Moreover, there are cases when the adults lose control over their learning when the teacher sets all the learning requirements for them but it should be noted that the absence of some activities related to self-teaching is not an indicator of the loss of personal autonomy because the purpose of SDL is to build personal autonomy (which is exactly what the coach builds in the coachee)(Knowles et al., 2012)..
At this stage the learning goals and strategies are decided. In addition, the motivator gives motivational sessions and guidance to the student. The teacher at this stage will have the same status with the student. He/she will focus on holding facilitating discussions and group sessions. From the above table, it can be noticed that the coach’s job changes according to the coachee’s learning stage. It should be noted that a highly self-directed environment will be frustrating for a learner who is at the first stage and vice-versa for a learner who is experienced and expert in the subject. For this reason, the learner’s behavior towards a self-directed environment is affected by different variables, namely, the learning style, efficiency, social orientation, the learner’s previous experience, previous learning socialization and locus of control [the extent to which the learner perceive the cause/control of events that affect them to be themselves (internals) or to lie in the external environment (externals)](Knowles et al., 2012). In another study, the factors that could encourage learners to use SDL projects are internal locus of control, motivation to learn, support from peers and coachee and self-efficacy (the learner’s belief that he/she has the ability to succeed and face any difficulty) (Boyer, Edmondson, Artis, & Fleming, 2014). In previous research, it was suggested that the coaching process could lead to enhancing the trainees’ self-efficacy, self-awareness and motivation to transfer (Joyce & Showers, 1980). Others, such as Laske (1999) have looked at trainees’ characteristics and indicated that personality factors, self-efficacy and motivation are outcomes of the effective coaching process(Bozer & Jones, 2018). From the above literature review, it seems that adults learn when they are given the chance to control their own learning and learn from their own experiences. The coach role is to help the coachees to be confident about their abilities (self-efficacy) to set new goals and handle challenges at the stage of self-directed. The coach won’t spoon feed the coachee but will only guide and enhance the coachee self-efficacy and motivation to learn by powerful questioning the faulty assumptions, re-examining the reality based on the evidence and promoting insight into personal strengths(Bozer & Jones, 2018). This explains the less coaching in providing the actual answers but only facilitating the learning experience which result in more effective training program. The coach helped coachees to improve their ability to analyze the given task and increased their performance. The coach helped the executive to be aware of their ability to use efficient and effective strategies in their own work which is another factor of enhancing self-efficacy. The coach helped the executives to discover, clarify and align with what they want to achieve. Guiding coachees to enhance their goal-setting skills was a reason of enhancing self-efficacy. Effective coaching can be seen in coachees with self-efficacy. When coachees have self-efficacy then they start taking ownership of their training or learning and start doing things at a self-directed mode.The coach will use the ICF competencies to create a successful conversation with the client but won’t give the answers easily. This will only affect the coachees characteristics (self-efficacy) and it is not an indicator of any competency based program effectiveness. Al Matroushi, S. (2004). Development of a Competent Workforce for the Oil and Gas Sector. Paper presented at the 11th Abu Dhabi Petroleum Exhibition and Conference United Arab Emirates. Avillion, A. E., Brunt, B. A., & Ferrell, M. J. (2007). Nursing professional development review and resource manual. Silver Spring, MD: American Nurses Creditialing Center, Institute for Credentialing Innovation. Boyer, S. L., Edmondson, D. R., Artis, A. B., & Fleming, D. (2014). Self-directed learning: a tool for lifelong learning. Journal of marketing education, 36(1), 20-32. 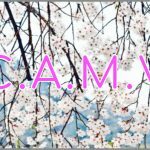 Competence Assurance Management System (CAMS). (2009). Oil Company. Joyce, B., & Showers, B. (1980). Improving in-service training: The message of research Educational Leadership(37), 379-385. Knowles. (1975). Self-directed learning : a guide for learners and teachers. New York: Cambridge, the Adult Education Co.
Knowles, Holton, & Swanson. (2012). The adult learner : the definitive classic in adult education and human resource development. London; New York, N.Y.: Routledge.
. New Professional Program. Renewable Energy Company. Parsloe, E. (1995). Coaching, mentoring and assessing : a practical guide to developing competence. London: Kogan Page. Pratt, D. D. (1998). Five perspectives on teaching in adult and higher education. Malabar, Fla.: Krieger. Tough, A. M. (1979). The adult’s learning projects. Toronto: Ontario Institute for studies in Education.